One of the most dangerous, serious and frightening experiences while driving is to see a driver traveling on the wrong side of the road. Frequently at night, wrong-way driving accidents often result in serious injury and death, and Phoenix is no exception. These types of accidents in the Phoenix metro area have been linked directly to DUI in overwhelming numbers. In fact, the National Highway Safety Administration and the Phoenix New Times reported three-quarters of Phoenix wrong-way driving accidents were a direct result of driver impairment stemming from drug and alcohol use. Safe driving on the road should always be a priority, and often alcohol impairs more than one behavior leading to an accident or collision resulting in serious injury or death. The same Phoenix New Times article details various DUI behaviors that often lead to law enforcement involvement for DUI and wrong-way driver arrests. Be aware to learn how wrong way driving can be prevented and who can help in the case of an accident or injury. Elderly drivers aged 70 and older are statistically more likely to be involved in a wrong-way accident. 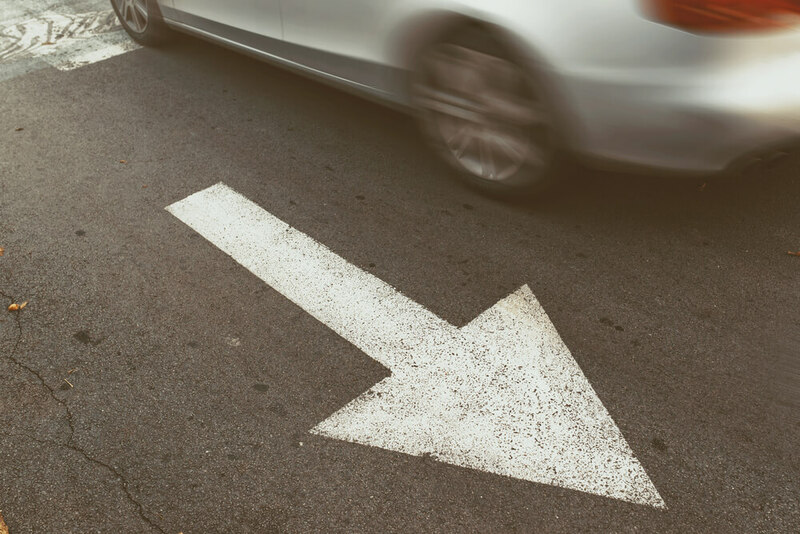 Whether the reason has to do with confusion or low-visibility at night, the NHTSA reported in their Special Investigation Report for Wrong-Way Driving that the 70 and older age bracket to be more likely to be involved in a wrong-way accident. Excessive consumption of alcohol or drugs, no matter the driver’s age, will also result in confusion at the wheel, as drugs and alcohol impair motor functions while driving. Whether you are a new or experienced driver, chances are you have received or know someone who has received a traffic violation for speeding. Drivers who are impaired by alcohol and speeding on the road is a recipe for disaster. Coupled with confusion, low visibility, and delayed motor responses, speeding is a common and dangerous side effect of driving under the influence. Under the influence of alcohol or drugs, drivers often have delayed or slow reaction time(s) and motor function. One of the most obvious signs of driver impairment is sloppy lane changes, erratic weaving, and uncontrolled movements while behind the wheel. Low visibility at night is a huge factor for DUI related accidents in the United States. Wrong way driving on stretches of road without center medians is a dangerous and deadly mistake at night. Despite driver impairment, millions of Americans often take to the road after drinking alcohol putting other drivers at risk for being involved in wrong-way accidents. DUI penalties in Arizona are extreme and expensive and should be avoided at all costs. If you have found yourself to be a victim of a wrong-way driver under the influence or have been involved as an impaired driver, the Phoenix DUI Lawyers at Blumenreich Law Firm P.L.L.C. are equipped with knowledge of Arizona’s DUI penalties. Contact our to seek legal representation and have a legal professional listen and provide advice to your case details.